When we started our series on the quarterbacks the Cleveland Browns have selected in the first round of the NFL Draft since the franchise entered the league in 1950, we thought we knew what we were going to find. But after working our way through the project, we were surprised to learn a few things. For starters, we never knew the story of Harry Agganis; he had always just been a name on a piece of paper. We had no idea how good he was, his tragic death or the impact he still has on Boston University. We knew about Bobby Garrett and his stuttering; it is a part of the team’s history. But it turns out that his speech impediment may have been over-exaggerated by head coach Paul Brown as a way for Brown to save face. We’ve always associated Mike Phipps with Paul Warfield, and while it was a bad trade and Phipps had a disappointing career, it turns out that it wasn’t his entire fault. And Tim Couch was better than we remember. The biggest realization is that, with the exception of Brady Quinn and Brandon Weeden, these were draft picks that didn’t work out, rather than ones that were bad picks. Agganis, Garrett, Phipps and Couch all had the credentials coming out of college. They ended up not working out for a variety of reasons, some within their control, some not. But they were not, essentially, bad picks. So what does that mean for Browns general manager Ray Farmer, the holder of five selections in the first 85 picks (and 10 overall) as he prepares for this weekend’s NFL Draft? Mainly, just because the Browns as a franchise have continually swung and missed when it comes to drafting a quarterback, that doesn’t mean that Farmer should not give it another shot this weekend. As to when he should make that pick … well, that’s a different story. The Browns need another quarterback on the roster. Trusting Brian Hoyer – who played all of 10 quarters last season and is coming off an ACL injury – to play a full 16-game schedule with just Vince Young or Tyler Thigpen as the primary backup is simply not a sound plan. Unless an NFL team has a historically great defense, however, it’s nearly impossible to win a Super Bowl without a top-tier signal-caller, which means general managers and head coaches must grit their teeth and draft quarterbacks. And they must draft them high. But it is not enough to just draft a quarterback with a pick at or near the top of the draft – that’s only half the equation. The important part, the one that the Browns have continually missed on, is drafting the right quarterback. Switch gears with us, for a moment, to baseball. Every year at the trading deadline there are a handful of starting pitchers available, ones that pitching-starved teams in the pennant race must trade for. No one ever stops to question if the pitchers on the market are any good, someone in the group is anointed the “best on the market” and therefore, if you need pitching, you better make a deal. That same scenario will play out this weekend with a large group of available quarterbacks. We all know the names by now: Johnny Manziel, Blake Bortles, Teddy Bridgewater, Derek Carr, Jimmy Garoppolo, AJ McCarron. The list goes on and on. Some of those players (and ones we didn’t mention) will go on have successful careers. If that happens it will be because of a combination of talent, drive, coaching, having skilled players around them, avoiding injuries, and a host of other factors. It will have absolutely nothing to do with where they were drafted. But far too many fans have taken the stance that as long as the Browns select a quarterback with the fourth pick in the draft that playoff berths and Super Bowls will follow, simply because they were drafted high. For a few months now we’ve been of the belief that Farmer will take a quarterback at No. 4 if there is a player there that the Browns like. But the Browns are not going to draft a quarterback with the pick simply to take a quarterback. Just because Bortles, Manziel, Bridgewater and the rest happen to be this year’s group of quarterbacks doesn’t mean they are automatically worthy of being a high draft pick. The only player we definitely want the Browns to draft this weekend is Kent State’s Dri Archer if he is available in the third round. Having Archer available to spell Ben Tate on occasion, or to help spread the field with Josh Gordon and Jordan Cameron, is certainly attractive. Other than that, we want the Browns to do what we always want: trust their scouts and the work they have done over the past eight to nine months and, when it is their turn, pick the highest-rated player they have on their board. You’ve done all that work for a reason, now is the time to execute on the plan. If NFL commissioner Roger Goodell walks onto the stage at Radio City Music Hall around 8:40 p.m. and announces that the Browns have selected Manziel or Bortles, so be it. If linebacker Khalil Mack or defensive end Jadeveon Clowney is sitting there at No. 4, go for it. Building a dominant defense has always carried a certain appeal, and it is hard for the other team to win if they can’t score. 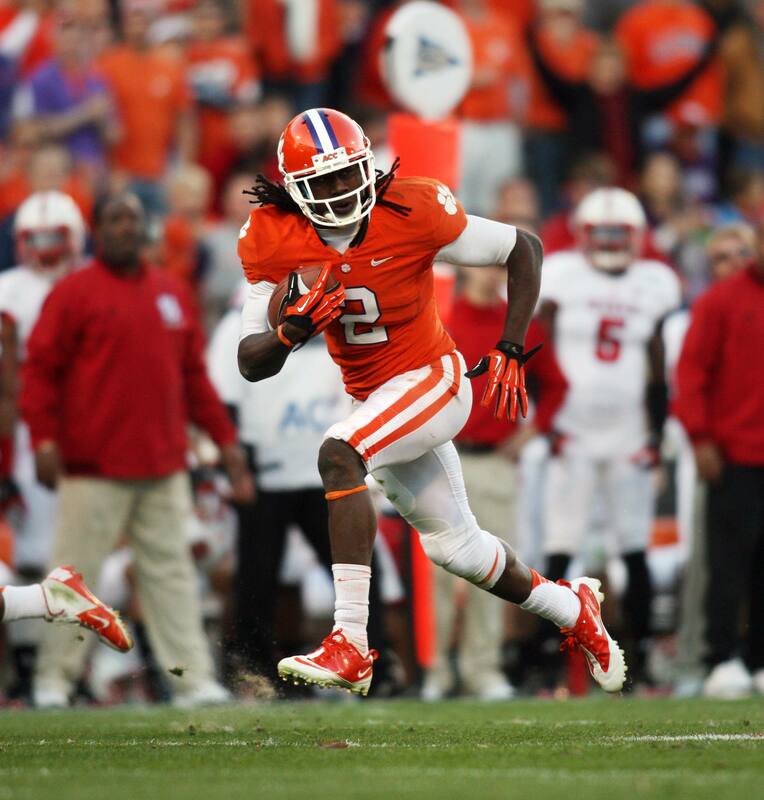 That’s probably a bit of a cop-out, really, so if we have to put a name to the Browns’ picks tonight let’s go with Clemson wide receiver Sammy Watkins at No. 4. The pick at No. 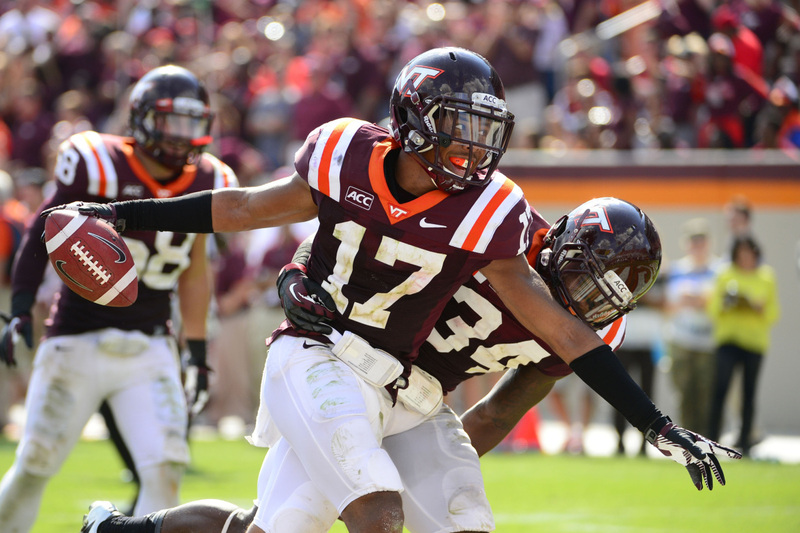 26 is a bit trickier because there’s no way of knowing how the first round will play out, but let’s go with Virginia Tech cornerback Kyle Fuller. We know that there is depth at wide receiver, and that position may not be a priority for the Browns (yet), but pairing up Watkins (who set career records at Clemson for catches, yards and 100-yard games) with Gordon, Cameron (and don’t forget Archer) would turn the offense into one that could really stress opposing defenses. From the trunk Watkins removes a gallon of water and four small plastic cones, which he positions at intervals across the field. With no coach to push him, he spends the next hour attempting to perfect just one precise step, grunting as he repeatedly jams a foot hard into the ground to propel himself in a different direction. The great ones … require just one authoritative dig, using the earth to launch themselves in a new direction. That step might buy six inches of daylight, and that might be the difference between a four-yard gain and a 40-yard touchdown. As for the pick at No. 26, we would really love to see Michigan State cornerback Darqueze Dennard be the pick, but we fear that he will be gone by then. But Fuller may not be a bad backup plan. Fuller reportedly has good size and balance, with keen instincts, anticipation and route recognition. He could stand to be a big stronger, but being in an NFL weight room could help with that. The only upside to being a 4-12 team is that the Browns have plenty of holes to fill, so unless Farmer totally loses it this weekend, they should be OK. Trust your work, stick to the plan and fill holes.